WordPress 5.0 with a brand new Block Editor, is scheduled for the second half of November 2018 with the accelerated release schedule, with the second Beta already released. WordPress 5.0 will bring the new Block Editor (former Gutenberg plugin) to replace current (now called Classic) editor. Whatever you think about Gutenberg Editor, at this point, the new editor in WordPress is a done deal, and no matter if it gets released in Novmber or gets a slight delay, WordPress 5.0 will include a new editor. Good news for anyone planning not to use Block Editor, it is fairly easy to disable it. But, more on that later. If you are using any Dev4Press plugins, you should know that all our plugins are compatible with WordPress 5.0 and Block Editor. I will continue to run tests with each new release of WordPress 5.0, but, I don’t expect any problems. Some of the plugins include metaboxes, and so far, they are all working fine with the Block Editor, including custom boxes you can build with GD Content Tools Pro. There are few plugins that will get major releases in the nect 2 weeks with Block Editor related updates. GD Content Tools Pro 5.5 will be released next week with options to disabke Block Editor for individual post types created through the plugin. It will also include tweaks for disabling Block Editor for other post types. GD Knowledge Base Pro 3.4 will include options to choise which editor to use for every content type it includes. And, if needed, all plugins with meta boxes will get at least minor update to fix potential issues that might arise before WP 5.0 is released. If you are currently testing any Dev4Press plugin with WordPress 5.0 Beta, please, let me know if you find any problems. 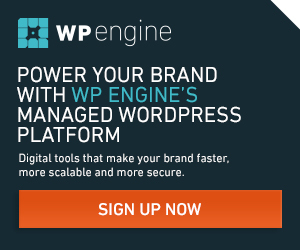 What do you think about the current WordPress 5.0 Beta?